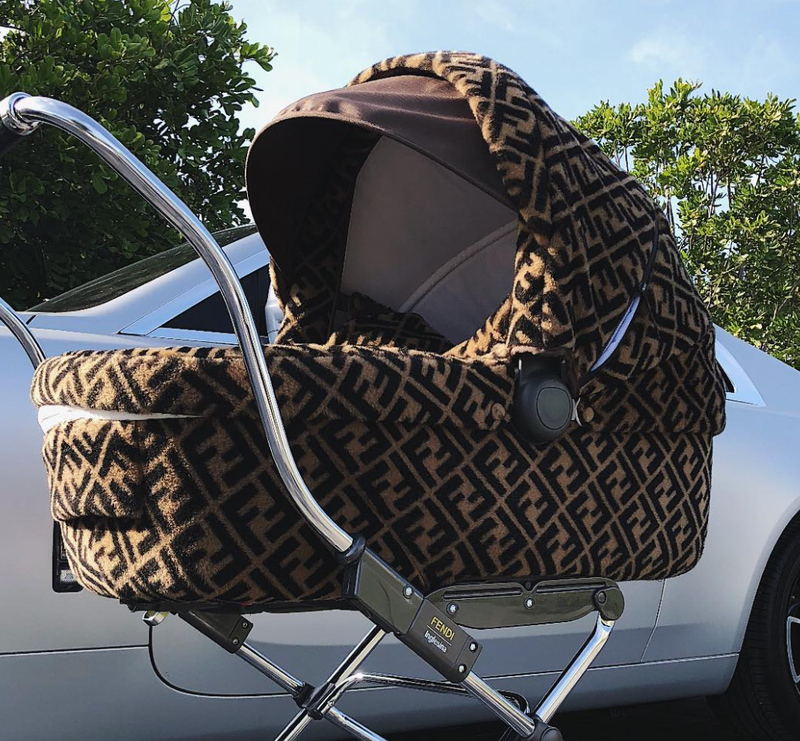 Reality star Kylie Jenner takes her first daughter, Stormi, out for a ride in a $1,900 Fendi baby stroller. The stroller is made in collaboration with luxury stroller-makers Inglesina. Kylie being Kylie, she also dressed up for the occasion, wearing a vintage Fendi mini-dress, a matching Fendi fanny pack, and Dinila Track Sole ankle boots. Stormi’s stroller is a Fendi Inglesina Classic Logo Pram Stroller, which can be purchased at Harrods and many more designer stores. Fendi-Inglesina strollers include features like advanced ventilation system, adjustable backrest, shock absorbers, etc. Complete with the luxury signature Fendi trimmings, these baby prams ooze style and charm throughout. Her sister, Kim Kardashian, is a big fan of the Italian luxury brand and has shared several pictures of her herself rocking Fendi to her Instagram account. 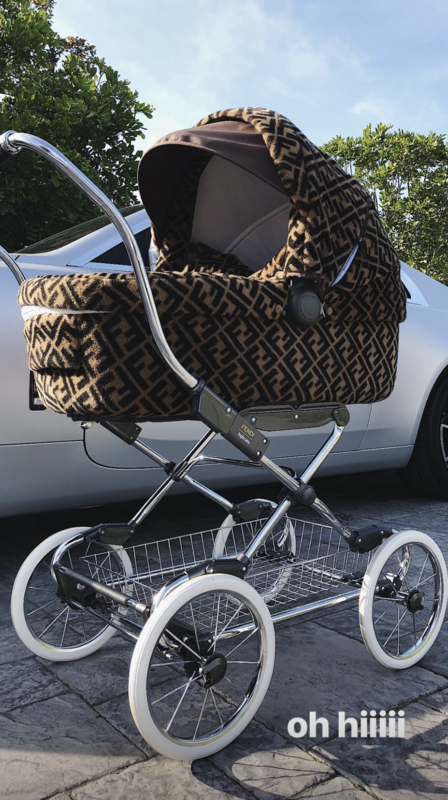 What do you think of Kylie Jenner‘s $1,900 Fendi Baby Stroller? Share your thoughts in the comments below!